Upgrade your poles with a pair of easy-to-attach Urban Poling trekking baskets and snow baskets. The trekking baskets provide excellent support in dirt or sand and the snow baskets are perfect for snowshoeing. 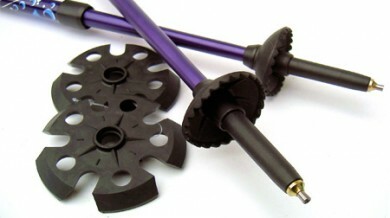 Fit all Urban Poles and ACTIVATOR Poles.